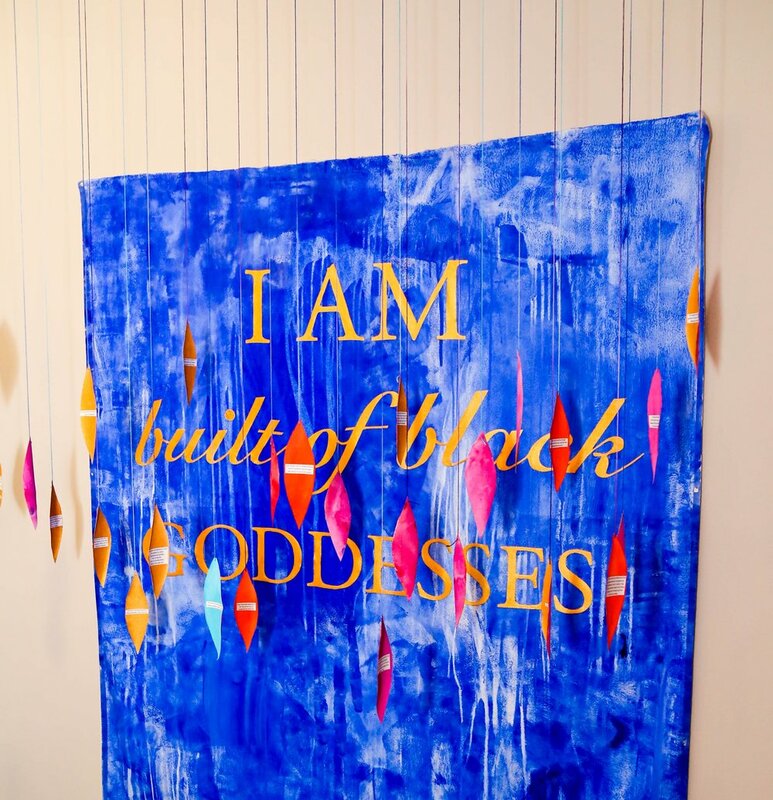 "I Am Built of Black Goddesses"
Who better to honor than the goddesses in my very own life? The ones who fuel me. Protect me. Inspire me. Support me. The ones who lift me higher and keep me going. The black goddess who birthed me. The goddesses who showed me what it means to be a black woman. The ones who grew into womanhood with me. My tribute is to the black goddesses who have shaped my life. The ones who have played a vital role in who I am today; as a woman and an artist. This was in honor of my mother, sister, aunt, grandmother, my ancestors, my irreplaceable friends. 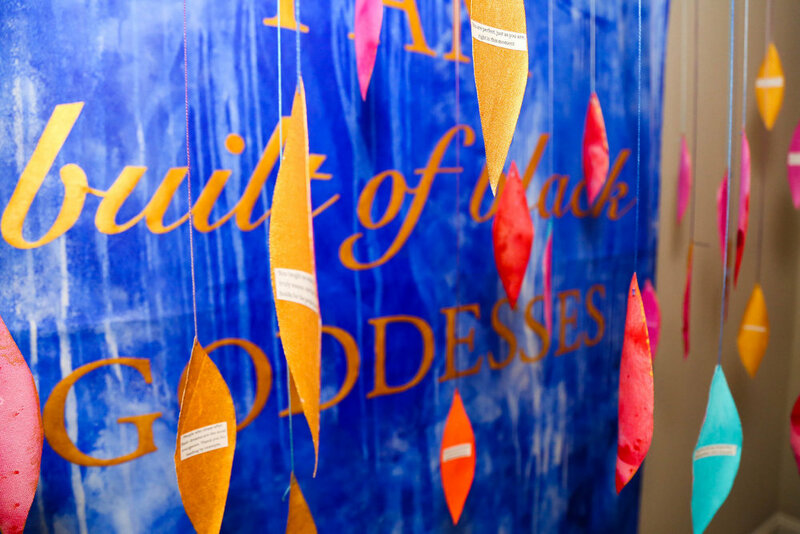 Each pedal expressed gratitude to the goddesses in my life. And the words shared touched people I had never met in ways that I never would have imagined. There was loads of joy, realizations, hugs, and tears; so many heartfelt moments. So many things people needed to hear, words that they wanted their children to understand, words that needed to be expressed to the goddesses in their own life, and this is what made it all worth it; the impact, passion and emotion it brought out of others.